and God's attention gets called to beauty. ANN MEDLOCK has worn a lot of hats. She's been a writer, editor, publicist, teacher, speaker, actor, radio commentator, speechwriter, and ghost. She's also a social entrepreneur, having founded the Giraffe Heroes Project, a nonprofit organization that's given countless people around the globe the stories of real heroes—people sticking their necks out for the common good—for more than three decades. Her background includes editing Viet Nam Presse in Saigon, and teaching in Japan and the Congo. 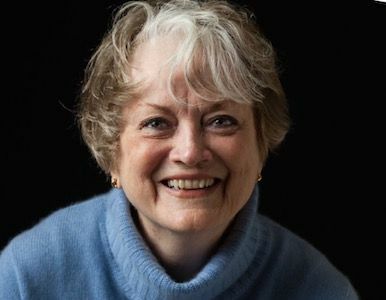 In the United States, she's written articles for Look, The New York Times, The Journal of Commerce, Editor & Publisher, Working Woman, Lear’s, CoEvolution Quarterly, New Age Journal and Education Week, counseled major corporations on using media, developed textbooks, and edited the Children's Express news service. She wrote ad copy and annual reports to pay the rent on her Central Park West apartment, and wrote speeches for political figures in the United States, and for the Aga Khan. In 1983, concerned that too few people were actively participating in their own democracy, she launched the Giraffe Heroes Project, to inspire people into active participation in public life. The organization has since honored well over 1,300 "Giraffes," and told their stories in every medium that becomes available. Ann won the Caring Institute's Caring Award and was interviewed in their magazine. She was named an education innovator by the National Education Association. She's been interviewed by Time, Parade, The Christian Science Monitor, The New York Times, Good Morning America, Lifetime, and innumerable other broadcast and print outlets. Medlock lives with her spouse, John Graham, on an island in the Pacific Northwest, where she's spending her days writing a memoir, Building With Christopher Alexander, and leading the Giraffe Heroes Project.